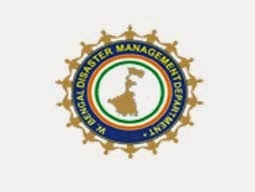 West Bengal Disaster Management Department (WBDMD) invites application for the job recruitment posts of 29 vacancies of Social Development Specialist, Environment Specialist, GIS Specialist, MIS Specialist, IT Manager, Architect, Architectural Assistant, Account Assistant, Financial Assistant, Office Assistant, Data Entry Operator,Data Entry Operator with Auto CAD specialization & Helper posts. How to Apply: Eligible candidate have to download application form from main website, fill form in plain paper and attach required certificates and send it to The Project Director of State Project Implementation Unit, National Cyclone Risk Mitigation Project Phase- II Tran Bhawan, 87A, Fifth Floor, SN Banerjee Road Kolkata (Pin Code 700 014) Contact number 033- 2249 7358. Last date: 20th February 2015.